In keeping with its thrust to promote a culture of risk management across the region, the Caribbean Community Climate Change Centre launched a seminal online support tool in Saint Lucia today. 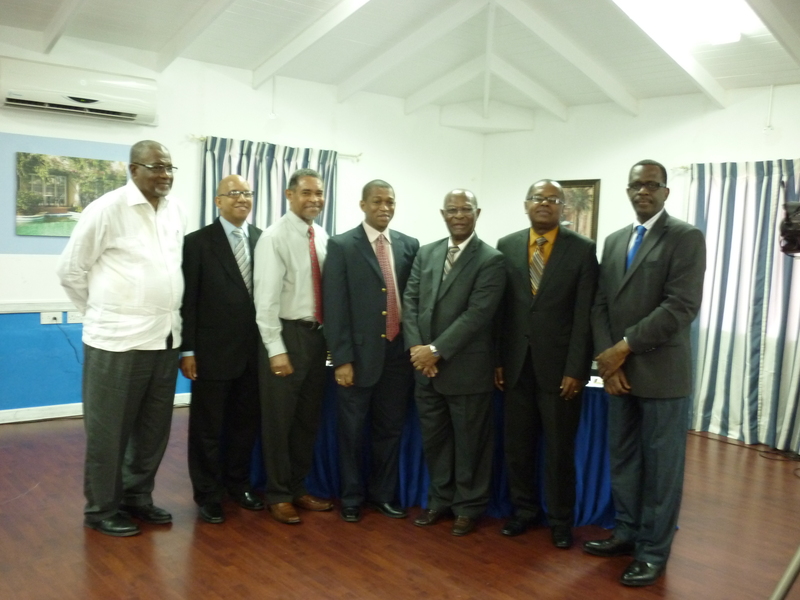 The launch event, which was attended by permanent secretaries from ministries of finance and planning, development partners, Saint Lucia’s Deputy Prime Minister Philip J. Pierre (among other St. Lucian officials), a broad cross-section of regional stakeholders and journalists, officially introduced the Caribbean Climate Online Risk and Adaptation TooL (CCORAL). In his keynote address Dr. James Fletcher, Saint Lucia’s Minister of Public Service, Sustainable Development, Energy, Science and Technology, urged the region to ensure broad use and adaptability of CCORAL. He added that CCORAL, which has been endorsed by Chairman of the Intergovernmental Panel on Climate Change (IPCC) Dr. Rajendra Kumar Pachauri, will promote climate-smart development by helping to embed a risk management ethic in decision-making processes across the region. “The development of the risk assessment tool [is] an extremely important asset in assessing the risk from the impacts of climate change in the Caribbean region,” according to Dr. Pachauri. The two dozen island nations of the Caribbean, and the 40 million people who live there, are in a state of increased vulnerability to climate change. Higher temperatures, sea level rise, and increased hurricane intensity threaten lives, property and livelihoods throughout the region. Against this background, CCORAL will help to boost the capacity of these countries to assess their risk amidst a variable and changing climate, while creating pathways for the identification and implementation of adaptation and mitigation options. It is intended to be used primarily by agencies at the regional and national level with responsibility for development, planning and finance, the private sector and non-governmental organisations. Ministries of Finance and/or Planning are central to the initial efforts to anchor this tool in climate resilience-building decisions. Notwithstanding, civil society organisations, universities, financial services and development partners, local communities can also use CCORAL to inform actions that must embed climate considerations. The tool is available to all member countries through an open source online platform at ccoral.caribbeanclimate.bz. According to Keith Nichols, Programme Development Specialist at the Caribbean Community Climate Change Centre, “the development of the risk assessment tool emerged after an extensive consultation process with regional stakeholders to ensure authenticity, relevance and ownership”. It is a direct response to the requirement of the Regional Framework for Achieving Development Resilient to Climate Change (the “Regional Framework”) and the landmark Implementation Plan (IP) that were endorsed by CARICOM Heads in 2009 and 2012, respectively. The IP acknowledges that a transformational change in mindset, institutional arrangements, operating systems, collaborative approaches and integrated planning mechanisms are essential to deliver the strategic elements and goals of the Regional Framework and to enable climate smart development by embedding a risk management ethic in decision-making. The Caribbean Climate Online Risk and Adaptation Tool (CCORAL), has been developed by the Caribbean Community Climate Change Centre (CCCCC) with funding from the United Kingdom Department for International Development (DFID) and the Climate Development and Knowledge Network (CDKN). Learn more about CCORAL by viewing the CCORAL Fact Sheet and Brochure. By caribbeanclimate in News on July 8, 2013 . Certainly, we welcome more readers and commenters.